Lance Toland Associates Ltd. was established in August of 1975 after founder Lance Toland recognized the need for a monoline aviation insurance agency with both insurance savvy and a dedicated commitment to clients. With more than 30 years in the industry, Lance Toland is an established leader in the field of aviation insurance services. Our main office in Metro Atlanta is just minutes from facilities for every major aviation underwriter in the industry, allowing us to maintain close and productive working relationships with senior industry specialists. Experience the personalized service offered by Lance Toland. Contact us today, or click the link to get an aviation insurance quote. Prior to founding Lance Toland Associates, Lance Toland was a freight pilot (Beech 18 and DC-3) for Academy Airlines and a 3rd year law student at Woodrow Wilson School of Law. His employer, Bob McSwiggan, asked Lance to "find out why I am paying so much for my company's aircraft insurance." Already a licensed excess and surplus lines insurance Broker, Lance began contacting aviation underwriters. He quickly learned that he already knew more about aviation insurance resources than the incumbent agent handling Academy Airlines account. Lance used his knowledge and negotiating skills to lower McSwiggan's $250,000 insurance renewal to only $170,000 without compromising coverage and keeping it domestically in his backyard Atlanta, Georgia. Realizing that Atlanta was the center for western hemisphere aviation insurance underwriting, it was the clear end of a future Lawyer and the start of Lance's new career. Today, Lance is a regular guest speaker at many aviation-related events and a participant in industry expert panel discussions. 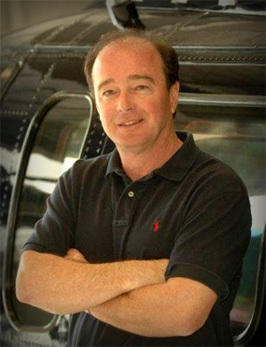 He has also been featured on CNN, providing insight for aviation news. Lance serves on the U.S. Air Force Museum of Aviation Foundation board and is Chairman of the Georgia Aviation Hall of Fame. Lance is a published author, sharing his expertise in publications such as Business and Commercial Aviation, Forbes and Falcon Owners Newsletter. His regular aviation insurance column, "Ask Lance Toland," appears in the Pilatus Owners and Pilots Association quarterly newsletter. Georgia Governor Sonny Perdue appointed Lance to his Aviation Task Force, which investigated state aviation resources regarding risk management, safety practices and overall efficiency. The undertaking resulted in a total revamp of the State's aviation assets, saving Georgia taxpayers millions of dollars and the implementation of many safety initiatives. Lance is a 17,000 ATP including a Seaplane rating with additional type ratings in the Hawker, Dassault Falcon, DC-3, Lockheed Loadstar, B-25, Fairchild C-123K, AD-4 Skyraider. He also maintains a commercial multi-engine rotor wing rating. The company fleet consists of a DC-3, Pilatus PC12 and P3 and a Eurocopter. Outside of aviation Lance enjoys supporting the Stepping Stones School for challenged at-risk children and is a major benefactor of St. George's Episcopal School. Lance and his wife Jan of 35 years have two children: Ansley Ruth and Lance Jr. both Mercer University Graduates. The Toland family divide their time between Sea Island, Georgia and their family farm in Milner, Georgia. An avid aerobatic pilot, Lance enjoys philanthropy, hunting, hiking and fishing, and of course flying his DC3.